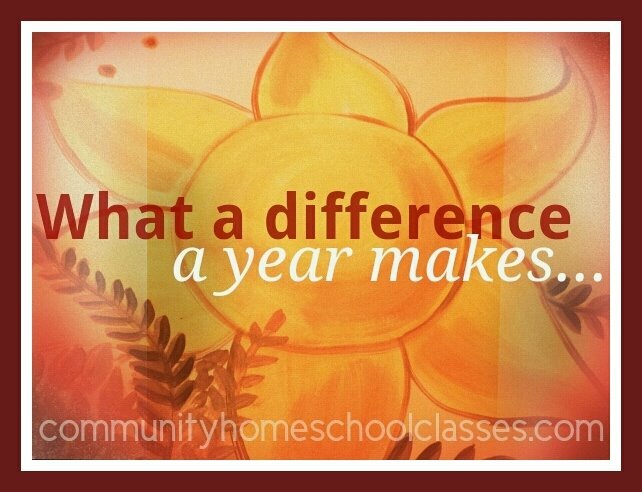 Community Homeschool Classes: 2013 was a wild and fantastic community adventure! 2013 was a wild and fantastic community adventure! What a difference a year makes, indeed! During 2013, Community saw growth that we did not expect and could not have imagined. One year ago, we created a brand new website and have since seen traffic at nearly 30,000 page views as well as hundreds added to our Facebook and Twitter platforms. Ten months ago, we held an Open House and were pleasantly surprised at the packed parking lot that February afternoon. Eight months ago, we had already doubled our registration from the previous year. Six months ago, we had triple the numbers of students enrolled with Community. Four months ago, we saw enough new families join us to officially quadruple Community and we are overwhelmingly humbled by your faith, encouragement and belief in our vision for the Memphis area homeschool community. Then, two months ago, as an unforeseen blessing, we were given the opportunity to expand with a brand new location! We know firsthand (because we're homeschoolers, too!) that homeschool families are particularly savvy when it comes to seeking out opportunities for their students. With this in mind, we have been particularly encouraged by your words of support: "We love Community! Thanks for all you do!" "Lovely family atmosphere. The tutors are nurturing. The teaching is excellent!" "Community has been a wonderful experience for our family!" "I love the curriculum, the accountability and ease of communication with tutors. My kids are really enjoying the classes as well!" "My child finally likes school because of her experience here. Thanks." Presently, this encouragement from our families fuels the fire at the heart of Community which is to encourage other homeschool moms and dads that they can do it and reap the rewards of their commitment to home education. From Community's inception, we aspired to create a community of families who support and accept each other as every kind of homeschooler, whether traditional or eclectic, child led or college bound. 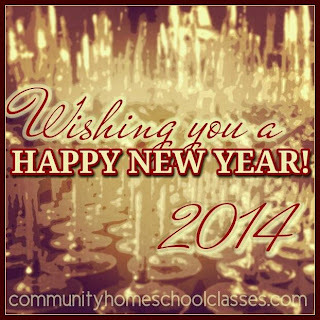 We will continuously strive to be that community in 2014 and beyond as well as expand and meet the demands of the Memphis and surrounding area homeschool community. If the above resonates with you, we want YOU to be a part of our community, too! We would love to answer any questions from the curious and get continuous feedback from our current families. You may contact us here and check back soon as we are preparing to roll out our class offerings for next school year and we have lots more to share with you! We sincerely thank you, homeschool families from Memphis, Bartlett, Cordova, Arlington, Lakeland, Jackson, Tipton County and beyond, for the fantastic difference you made in 2013 and we can't wait to see what and who the new year brings!